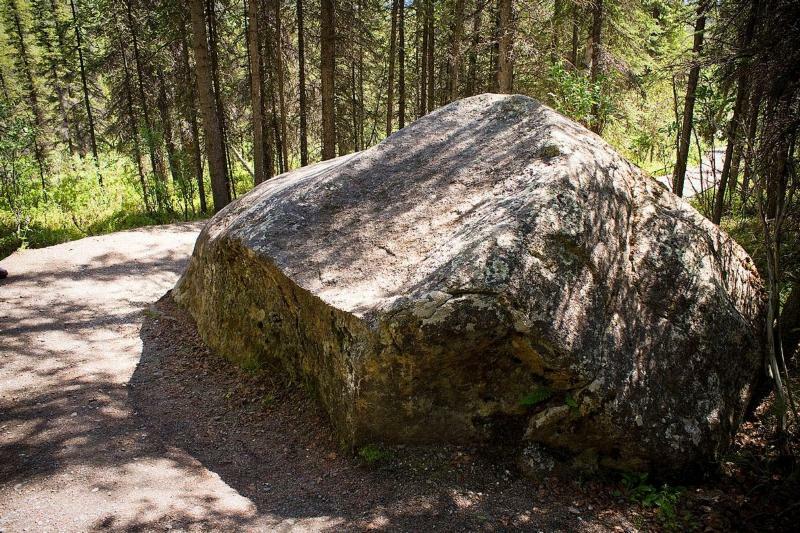 Have you ever seen a big, strange-looking rock on a hillside and thought “that looks out of place…how did that get there?” If you were in an area once covered by glaciers, it’s likely that you are looking at something called a glacial erratic. Throughout Denali National Park, visitors can see many erratics along Denali Park Road and even more of them deep in the Denali wilderness. In fact, two large erratics can be seen from the hotels at the front of the park. They rest on a hillside a few miles off the road at about mile 4. Glacial erratics are rocks that have been “picked up” and moved by glaciers. The size, shape, and rock type of erratics are often different from their surroundings. It’s very common for erratics to look “out of place” in their final resting spot. 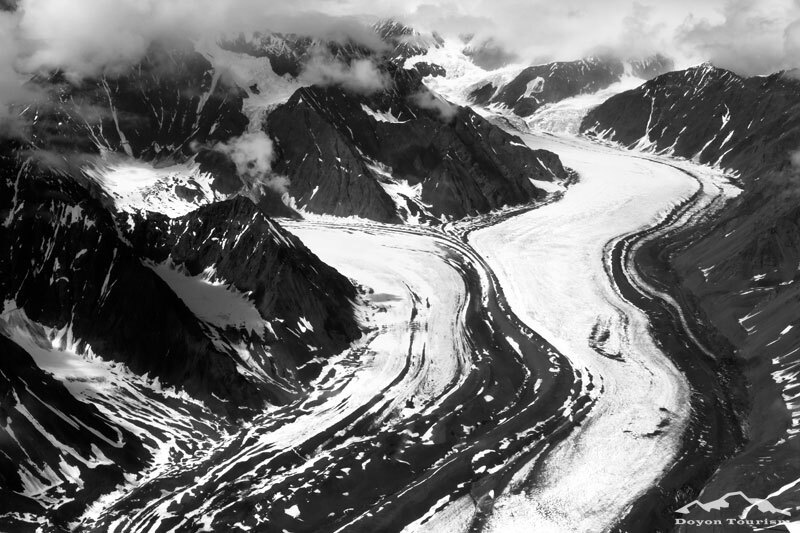 How do glaciers manage to move massive rocks? For the most part, it’s a simple process. Glaciers form over a span of many, many years. When snow falls in one area and stays frozen year-round, it will eventually become ice. When this happens on a large scale, the ice forms into one big glacier that moves and behaves as one. Sometimes falling snow can “swallow” up rocks that become engulfed in the glacier, or glaciers can carve out the side of a hill until a large chunk of rock falls onto the glacier itself. Since glaciers move over time like a slow-flowing river, these large rocks then get transported over the course of many years. When the glacier finally melts sometimes centuries later, these rocks are left in a new place. When scientists examine erratics, they can learn a lot about glaciers that have now disappeared entirely. Scientists can often identify the origin of the erratic by looking at the rock type and analyzing the lay of the land. Some erratics have been known to move hundreds of kilometers over the course of hundreds of years. If you’re lucky enough to look at an erratic up close, try thinking about the history of that rock. After all, you’re looking at a piece of a mountain that may have managed to move miles from its origin.